Current PA Chairman Mahmoud Abbas was a trusted member of Yassir Arafat's inner circle responsible for developing Fatah's networks and raising funds for PLO operations at the time, including the Munich Massacre in 1972. Osama bin Laden has been killed by the American military. His friend and second in command, Al-Zawahiri, will most probably assume the mantle of bin-Laden. Al Qaeda has been hurt but the war will go on and innocents will continue to suffer and die. No doubt, millions of Muslims will consider Osama bin Laden as a "holy" martyr and believe he is now enjoying the first of the 72 virgins in paradise. But there are other terrorists whose body counts surpass bin-Laden's. Israel endures the criminal hatred of the two wings of the Palestinian Arab terror organization. These terror bosses include first Mahmoud Abbas of the Fatah wing of the so-called Palestinian Authority. Fatah occupies parts of Jewish biblical Judea and Samaria, aka the West Bank, given to the Arabs who call themselves Palestinians under the fatally misnamed Oslo Peace Accords. They mourn bin-Laden's death and vow revenge. Ismail Haniyeh's Hamas occupies the Gaza Strip, given idiotically to the Arabs by ex-Israeli premier, Ariel Sharon, who thought that by being nice to the Arabs it would end their perpetual aggression. A case, if ever there was one, of nonsense piled upon foolishness. Hamas also mourns bin-Laden's death and they too predictably vow revenge. Both wings of the Palestinian Arab terror organization have reached a rapport. Both have joined together, no doubt to present in September 2011 to that oh so immoral organization, the U.N, a joint request for world acceptance of a Muslim Arab rogue state to be called Palestine. What is predictably overlooked by the UN's mostly far from moral membership is that this state would be carved out of Judea and Samaria, the so-called West Bank, thus forcing Israel back into a nine mile wide border (an earlier described Auschwitz border) at its most populous region. This armistice line existed from the time of Israel's rebirth in 1948 until June 5, 1967 when, faced with another looming genocide against her by her Arab neighbors, Israel was forced to fight against Syrian, Jordanian and Egyptian criminal aggression during the Six Day War. What is also overlooked is that Hamas and Fatah demand that all Jewish residents be driven out of their Jewish towns and villages within Judea and Samaria. In other words, Apartheid: Arab style. In other words, Jews cannot live in a future Palestine but Arabs can live in Israel. Israel has targeted other Arab terrorists for their crimes in the past and it remains to be seen if she follows America's bin-Laden example and eventually is forced to eliminate Haniyeh and Abbas. But I don't think so. Ever worried about what the hostile world will think of them, especially what the American president will do and say, Israeli leaders are still fearful and paralyzed. So it is more than likely that Abbas, for instance, will continue to be sanitized by the world and Israel will refrain from eliminating this Arab Muslim terror chief. Meanwhile Haniyeh will be courted by the groveling Europeans and others as a "respectable" politician and not the thug he really is. But let us in particular look at what this Mahmoud Abbas is all about; the same miscreant the world considers a moderate, whatever that word means. For a start, how many of you would ever shake hands with a Holocaust denier or give your money to one? If you answered no to both question then why would you support Mahmoud Abbas whose terror nom de guerre is Abu Mazen? In 1983, Abbas wrote a dissertation for his doctorate degree at a university in the Soviet Union. Remember, the Soviet Union supported the PLO and provided it with lavish funds and diplomatic support. Indeed the Soviet Union Polit-Bureau invented the putative state to be called Palestine. Abbas claimed that Jews artificially raised the number of Holocaust victims in order to gain world sympathy. He even parroted the denial loonies who suggested that the number of Jews murdered by the Germans was less than 100,000. He ridiculed the fact that six million Jews were murdered or that a war of extermination was aimed primarily at the Jews, claiming that no one can either confirm or deny this figure. Despite the overwhelming documentary evidence that six million Jews were indeed systematically targeted and murdered by the German Nazi regime and their European allies, Mahmoud Abbas chose to echo the mendacious words of the malevolent denial industry, thus consigning six million Jewish ghosts to suffer yet again and the remaining survivors to further agony. Yet Abbas is the darling of the U.S. State Department, as well as not a few in the administration of President Obama and the president himself. Israeli Prime Ministers, at least in the recent past, were seemingly quite prepared to shake the hand of Abbas and trust him as a viable "peace partner." They had even made the same colossal error with Yasser Arafat. That Mahmoud Abbas still demonizes the Zionist movement, refuses to accept Israel as a Jewish state, is a Holocaust denier and is quite happy to accept that the figure of Jewish victims of the Holocaust could be below one million, did not even seem to outrage some past Israeli Prime Ministers. It is, perhaps, a sad indication of how low the level of moral outrage had sunk. Hopefully, Binyamin Netanyahu, Israel's current Prime Minister, has now had his eyes opened wide. But that remains to be seen and his upcoming address to Congress will be the proverbial acid test. But let's also look at the immense con-trick Abbas continues to play on the European Union, the United Nations, the Quartet, the U.S. Administration and successive Israeli leaders. According to Yoram Ettinger, the highly respected Israeli commentator with the Second Thoughts Educational Foundation, who was talking recently with Frank Gaffney on Secure Freedom Radio, Mahmoud Abbas, aka Abu Mazen, is a serial terrorist whose roots are in the Muslim Brotherhood and who was part of the inner circle of Yasser Arafat. Ettinger reminds us that Abbas was expelled from Egypt in the 1950s for subversion. He was expelled from Syria in 1966 for subversion. He was expelled from Jordan in 1970 for subversion. He was part of the Arafat leadership which caused havoc in Lebanon and he and Arafat were expelled in 1980 from Lebanon. Sadly, the U.S. provided him and his terror cronies with safe passage to Tunis. Another error, which led to thousands more deaths and misery. Abbas was part and parcel of the betrayal by the PLO of Kuwait in1990 when the Palestinian terror machine spearheaded the Iraqi invasion of Kuwait. Most recently, he is the one who instituted hate education inside the Palestinian Authority schools and mosques and state controlled media. This inevitably led to such atrocities as that committed by Palestinian youths who recently slit the throats of the Fogel family including a toddler and a three month baby girl, leaving three orphans. 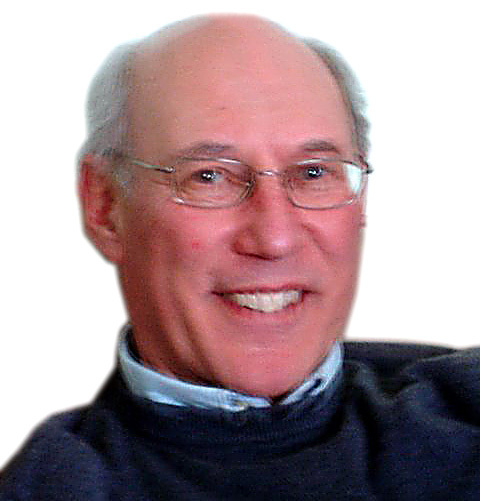 In answer to Frank Gaffney, who referred to suggestions by certain liberal media talking heads that Haniyeh joining with Abbas would moderate Hamas, Ettinger replied that it would be similar to the equally absurd assumption that the Boston Strangler's association with Jack the Ripper would moderate the Ripper. Let us again remember that while under his control of the Palestinian Authority, the Gaza territory was handed over to Mahmoud Abbas by Prime Minister Ariel Sharon in the "disengagement" plan. James Wolfensohn urged wealthy liberal Jewish Americans to purchase at great cost the existing Israeli green houses and gift them to the Palestinian Arabs to help them create an independent economy. Instead, Abbas allowed mobs of Arabs to destroy the once highly productive greenhouses and permitted the police to stand by and watch. None of the Arabs were punished. This took place while under the watch of Mahmoud Abbas. While Abbas controlled all aspects of the PA, millions of charity dollars were siphoned off into Swiss bank accounts or to Palestinian suicide bombers. None, or very little, of the cash ever reached the ordinary civilian population in order to improve their lives. The U.S. and EU donors simply turned a blind eye to Abbas's connivance with this corruption on a grand scale. The Islamist Hamas gang, now occupying the Gaza Strip (aka Hamastan), strikes at Israel from the south in the same way that Hezbollah has struck the Jewish state from the north. Like Hezbollah, Hamas has amassed huge numbers of missiles from the Iranian mullahs and since the "disengagement" and the relinquishment by Israel of the Philadelphi corridor (urged upon Israel by Condoleezza Rice) vast quantities of Iranian lethal weapons have been smuggled into Gaza from Egypt. In February, 2011, I urged the Israeli government in an article titled — Take Back the Philadelphi Corridor, Israel, and soon — to restore the vital and strategic Philadelphi Corridor to Israeli control as it was clear that the Mubarak regime was about to topple and that inevitably a Muslim Brotherhood regime would take over Egypt. But Israel did nothing, presumably out of fear again of upsetting the U.S. president. Meanwhile the Brotherhood grows stronger by the hour and Muslims have been emboldened to murder Christian Copts and gleefully burn down churches. It was also obvious to all who had eyes to see and ears to hear that Egypt would eventually tear up the peace treaty with Israel and that sooner or later the border between Egypt and the Gaza Strip at Rafah, (where the Philadelphi Corridor exists) would be opened wide and an even vaster flow of lethal weapons would freely enter Gaza from an Islamist Egypt. This flow has now begun. 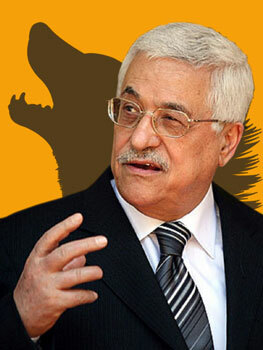 Much of Judea and Samaria (the West Bank) is now Fatahland and presided over by Mahmoud Abbas. Meanwhile CIA training of Palestinians continues under U.S. General Dayton. It remains to be seen if yet more US "aid packages" will be sent to Abbas and his Fatah party now that Hamas is part of the PA. A Palestinian policeman recently murdered a Jewish pilgrim and worshipper at the biblical Joseph's tomb in Nablus. This Arab policeman was one of General Dayton's trainees: A scandal that continues to exist. It would seem that the farcical policy of endlessly throwing money at Mahmoud Abbas and holding him up as the great hope for a true and lasting peace by the Palestinian Arabs with Israel is going to continue, notwithstanding his history of corruption, mendacity, Holocaust denial, introducing hate education in schools, and now his sickening embrace of Hamas. Will Israel, the US and the world ever learn, and will the sanitized Abbas and Haniyeh ever meet the same just fate as Osama bin Laden? No, for one simple reason. Though Abbas, Haniyeh and Maashal, as was bin-Laden, are Arab terrorists, they are called Palestinians and the immoral and hypocritical world treats them differently. Different strokes for different folks! With fact and fiction swirling around the life and death of OBL, it is perhaps useful to keep the spotlight on these other terrorists whose ultimate goal is genocide against a member state of the United Nations. Their followers murder Jews but most of the world has little or no interest in Jewish victims; especially no interest at all in the survival of the besieged and embattled Jewish state.